Lightweight and sharp, the Allex Stainless Steel Scissors are designed to cut through miles of paper, plastic and even sticky surfaces like duct tape. Its blades are coated with Teflon for wear resistance, while the inside grips are cushioned with soft rubber rings for comfort. 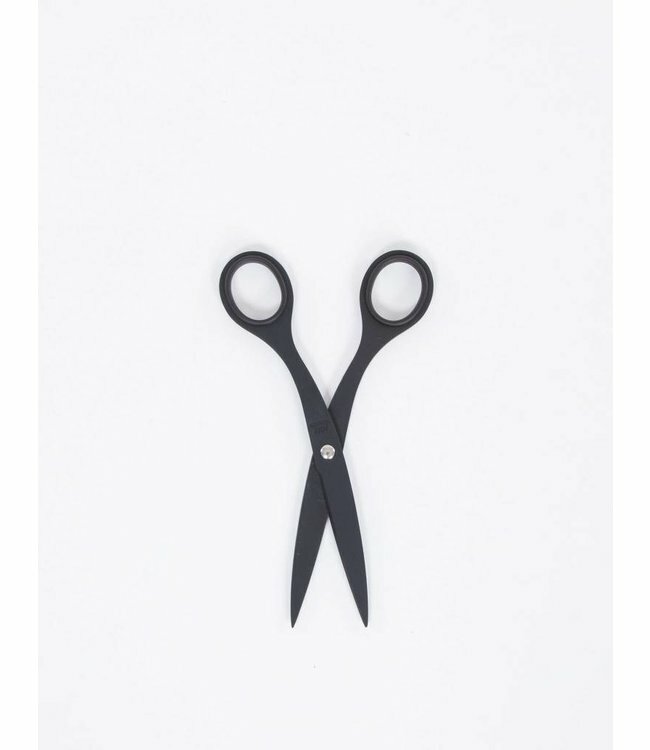 With a sleek matte black finish, the Allex Stainless Steel Scissors are a polished office accessory that looks as good on your desk as it does finishing your toughest projects.